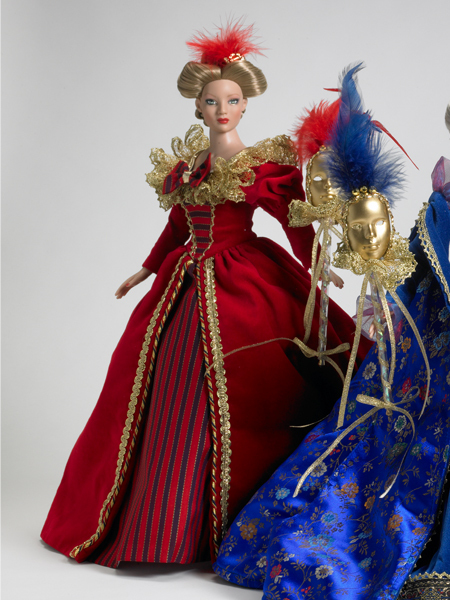 Cinderella's mean stepsister, "Hortencia," (left in group photo) attends the Masquerade ball in a vibrant gown of lined red velvet with an inverted insert of red and navy striped taffeta. 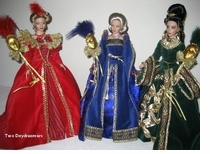 The gown features a rich gold lace, ruffled collar; gold braid trim and red/navy/gold cord edging. Her outfit also includes stiff tulle petticoat and gold faux leather mules. She's accessorized with a 'ruby' necklace and matching earrings. Her elaborate updo is dressed with a 'ruby' hair ornament and feathers. 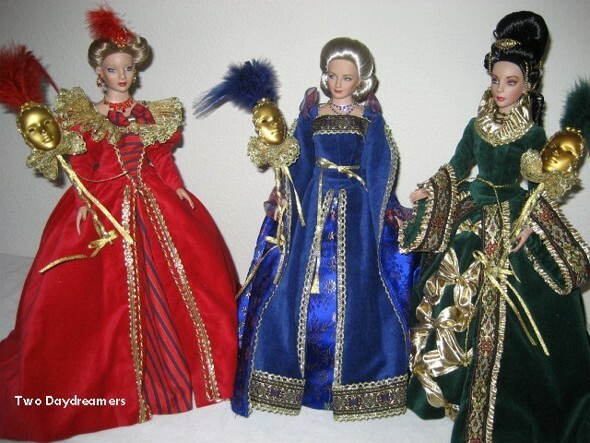 Her Venetian style face mask complements her gown with matching gold lace and red feathers. Display stand included. Never displayed but removed from box for photo.